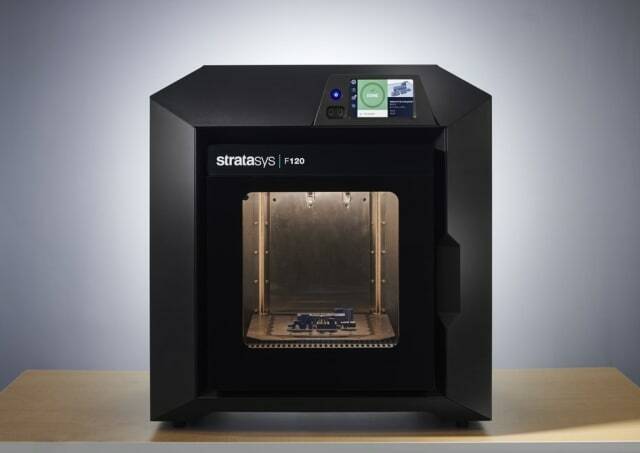 For the Additive Manufacturing Users Group (AMUG), 3D printing stalwart Stratasys released two new 3D printers that reach into two different segments of the 3D printing industry. 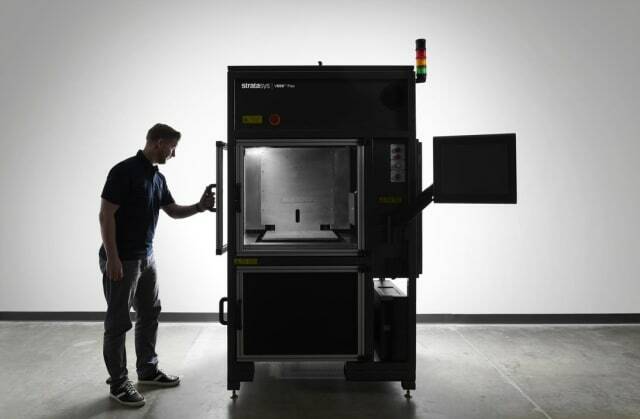 Engineering.com had the opportunity to speak with company representatives to learn about its new F120 industrial desktop 3D printer and V650 Flex stereolithography (SLA) system. Speaking to Gina Scala, director of Global Education for Stratasys, engineering.com learned that the company phased out its legacy entry-level system, the uPrint, in December 2018. Replacing it is the F120, which should outmatch the uPrint in various ways. This gives former uPrint users a chance to upgrade technology while also introducing those new to 3D-printing technology something that’s both easy-to-use and capable of producing industrial quality parts, according to Scala. The F120 will sit at the entryway of Stratasys’s F123 series, released at the end of 2017. It offers what the company considers to be simple controls and a comparatively low price of $11,999—40 percent of the price of the next printer in the series, the F170—while still printing parts reliably and repeatably. Scala suggested that new users should be able to install the system themselves. Integration with GrabCAD print means that it’s possible to print directly from CAD files without the need to convert to .stl. Key features include remote monitoring and spool-less filament feeding, capable of supplying 200 cubic inches of plastic to the printer without interruption. Scala pointed out that that is three times the material that a typical spool of filament would carry, roughly 65 cubic inches. This makes it possible to print for 250 hours continuously. The materials available upon release are ABS, ASA and Stratasys’s SR30 soluble support. Because the heated build chamber can only reach 85°C, it may not be able to handle the same material range as the F170, such as TPU. It also has a slightly smaller build volume. Otherwise, it has the same industrial capabilities. Interestingly, it also goes beyond the abilities of the MakerBot Method, announced last year. The Method has a smaller build volume and can only use PLA. Additionally, the chamber only heats up to 65°C. Stratasys is targeting small design and engineering firms, educators and designers, and engineers within large businesses that don’t want to wait in a queue to have parts printed by the rapid prototyping lab. Scala highlighted the fact that, for educators, using the F120 will introduce students to the sort of industrial 3D printing technology they will find when entering the workforce. Up until 2012, Stratasys was synonymous with fused deposition modeling (FDM) 3D printing. After its merger with Object, the company also became known for PolyJet. As news of its additive metal technology, layered powder metallurgy, was released in 2018, it became clear that something was changing at Stratasys: its process portfolio was beginning to grow. This year, the company will be commercializing SLA 3D printing. The word “commercializing” is key here because SLA has been used in-house at Stratasys Direct Manufacturing, the company’s service division, for some time. Carey said that the system has printed over 75,000 hours at Stratasys, producing 150,000 parts. Given the fact that Carey had already been selling the system, the company also wanted to be able to service it as it would any other product. Thus, the V650 Flex 3D printer is hitting the market. The name “Flex” comes from the fact that the machine is meant to be extremely flexible. It has a large, open vat configuration. Customers are free to test any resin they like with the machine. The print volume measures 20in x 20in x 23in, and the vats are interchangeable. In the past, Stratasys sold its own proprietary materials. It is partnering with DSM for the V650 Flex. Upon launch, the partners are releasing four resins verified to print with the machine: Somos NeXt is meant to combine the detail of SLA with the look and feel of thermoplastic; Somos PerFORM is a tough and stiff temperature-resistant material for tooling and wind tunnel testing; Somos Watershed XC 11122 is a water-resistant clear resin with ABS and PBT-like characteristics; and Somos Element is an antimony-free material for investment casting. These materials will likely serve a number of useful applications for customers in various fields, but, as we’ve covered recently in examining 3D printing plastics more closely, the overwhelming majority of industrial polymers are made from fossil fuels. Because the warnings of climate change have become increasingly dire, many governments and consumers are demanding major shifts from society and industry. This includes the materials in their environment. This isn’t necessarily up to systems manufacturers like Stratasys to worry about, but more of an issue for its partners like DSM. However, Carey stated that Stratasys acknowledges the need for sustainability. Both systems will be on display at AMUG in Chicago this week. To learn more, visit the Stratasys booth or visit the company website.